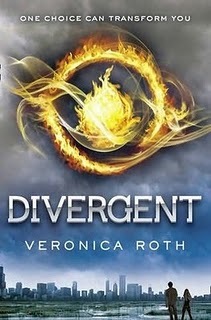 The Reader Bee: Divergent Giveaway! Exciting! This has been on my to read list fora while. I know! I can't wait for it to be released! I actually got an ARC of this one and I cannot wait to read it! Thanks for spreading the word about the giveaway! That's awesome! I hope you enjoy reading it!! There are so many dystopian novels out or coming out. I don't know which one to choose, I've never read one before. You're welcome Miss Page Turner! Diana, good luck! And thank you! Petra, Hmm.... I don't know which would be the best to start with. There are a LOT of good ones coming out!